Disease may be just a tick away - FirstMed - Your Health Comes First! The warming weather at this time of year is arriving with an unwanted bite — from ticks. Some tick bites already have occurred locally, and health organizations say people should be taking precautions while outdoors. Ticks are small arachnids related to spiders that attach to the skin of a person or animal, and they feed by sucking blood. A tick can be as small as a poppy seed or as large as a sunflower seed, and may transmit disease-causing bacteria through a bite. In appropriate circumstances they can stay alive for years without any food. Unfortunately, the mild winter means that this year we will find more ticks than in previous years. The most dangerous period is from April to July but there is still a chance of infection from tick bites at other times of the year. TBE (tick-borne encephalitis), like Lyme disease, is one of the many tick-borne diseases. While doctors can treat Lyme disease when caught early, TBE is incurable once manifested, so there is no specific drug therapy. The only effective treatment remains prevention. The incubation period of TBE is usually between seven and 14 days and is asymptomatic. After this, the symptoms can be high temperature (over 39 degrees), malaise, anorexia, muscle aches, headache, nausea and/or vomiting. After about eight days of a remission, a second phase of disease occurs in 20% to 30% of those infected. Patients may experience a clinical illness that involves the central nervous system. The symptoms may be milder in the early stages with children, making it difficult to identify the illness as TBE. According to one Swedish study, close to 10% of neurological patients under the age of 18 were actually suffering from tick-borne encephalitis. During pregnancy extra precautions must be taken because a tick bite might be very dangerous for the mother as well as her unborn child. During this period it’s better to avoid places where you may encounter ticks. It is getting harder every year as ticks find their way into all green places — even Margaret Island is home to a large number. TBE is most common in Central and Eastern Europe followed by Northern Asia. There are over ten thousand cases documented each year and this number is growing. Of course there is protection against tick-borne encephalitis readily available via a vaccine. This treatment is very effective and available in clinics in many disease endemic areas. Other ways to protect yourself are by covering skin with more clothing (maybe not as enjoyable in the height of summer) and using tick repellants such as DEET. Full protection against TBE requires three doses of vaccine over the course of a year. The second vaccine is given 1-3 months after the first, and the final vaccine is given 5-12 months after the second. You should have booster doses every three years if you continue to be at risk of infection. 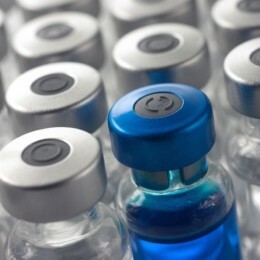 If immunity is required more quickly, a second dose can be given two weeks after the first dose, though this gives slightly less protection than the other schedule. For children over the age of one year but younger than 16 there is a special vaccine preparation that is roughly half of the normal ‘adult’ vaccination. regularly check for ticks – common places to find them are around the hairline, behind the ears, on or around the elbows, the backs of the knees, the groin and the armpits. Ticks and other creatures can be a major annoyance but one that cannot be avoided while living in a city with lots of green areas. Milder winters mean that many pests which should have their numbers controlled by harsh temperatures are now waking up and are on the prowl for food. Unfortunately, what they want is your blood. Please make sure that if and when they do get a chance to feed they don’t leave behind any unwanted leftovers. Tick-borne encephalitis is a nasty, yet prevalent, reminder that we still live in a world surrounded by nature and we need to take precautions. One step is getting yourself inoculated against TBE. Vaccinations can be found at FirstMed.